Dubai: First Abu Dhabi Bank (FAB) will be extending a Dh1.6 billion ($436 million) to Abu Dhabi National Hotels (ADNH) to acquire some of Emaar’s assets in Dubai. The country’s largest bank announced this week it had signed a loan facility agreement with ADNH to provide the loan amount. The bank did not confirm which specific properties will be financed under the loan agreement, but the Dubai-based developer had earlier confirmed that it is selling five of its hotel properties for a total value of Dh2.2 billion to ADNH. 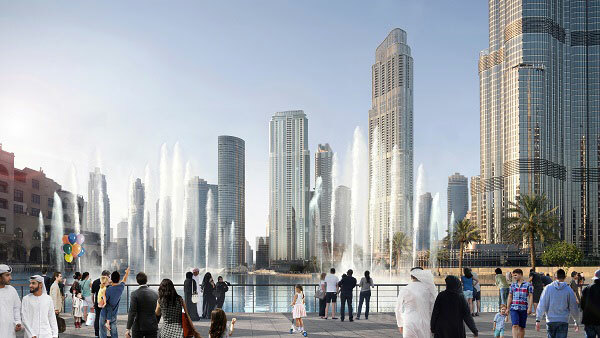 Emaar had said there is no separate price for each of the hotels it is looking to sell and that the proceeds of the transaction will go towards the financing of other commercial properties that are seen to generate higher return on investment. Emaar first announced in November that it is selling the following properties to Abu Dhabi National Hotels (ADNH): Address Dubai Mall, Address Boulevard, Address Dubai Marina, Vida Downtown and Manzil Hotel. The developer has already signed a “definitive documentation” with ADNH to formalize its intention to sell the assets. “The total sale price for all mentioned hotels is Dh2,198,000,000, subject to certain adjustments relating to working capital of these hotels,” the statement reads.